Jumping mat for 6ft. 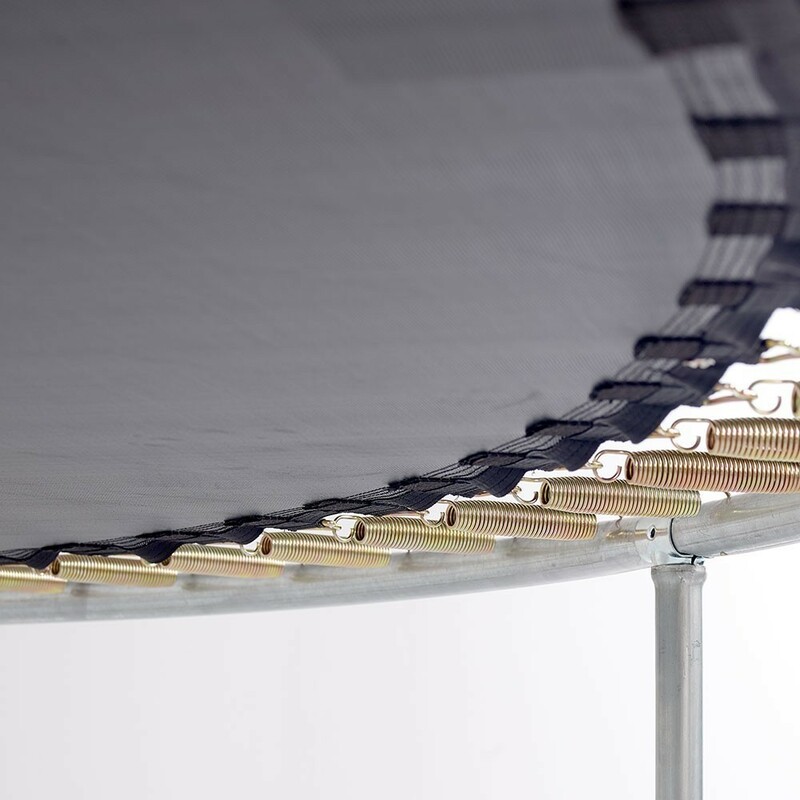 trampoline with 42 springs of 136mm. 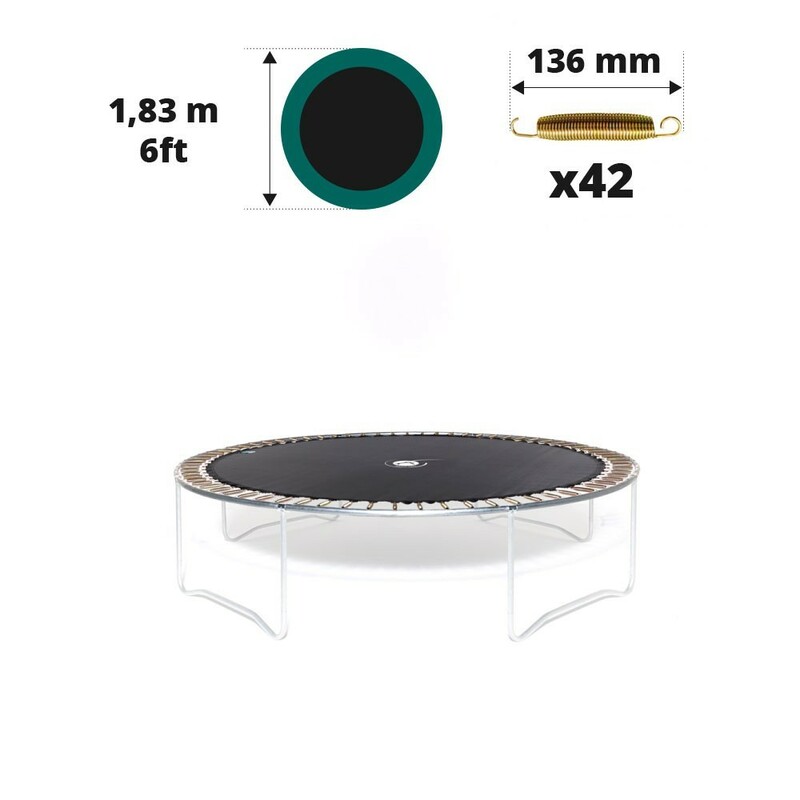 > Spare parts>Trampoline spare parts>Jumping mats>Jumping mat for 6ft. 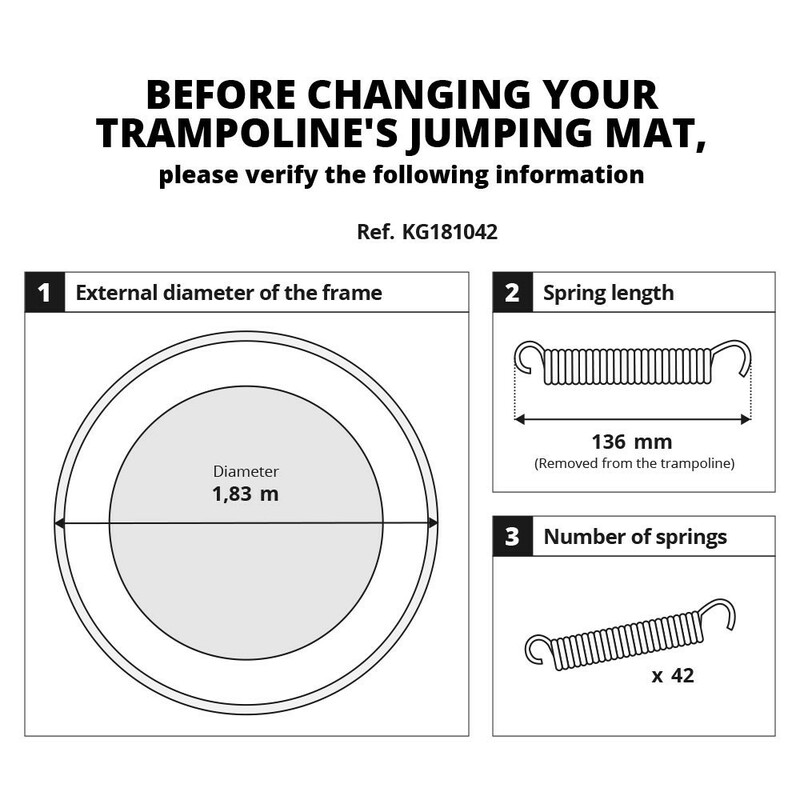 trampoline Ø 183 with 42 136mm springs. Jumping mat for 6ft. trampoline Ø 183 with 42 136mm springs. 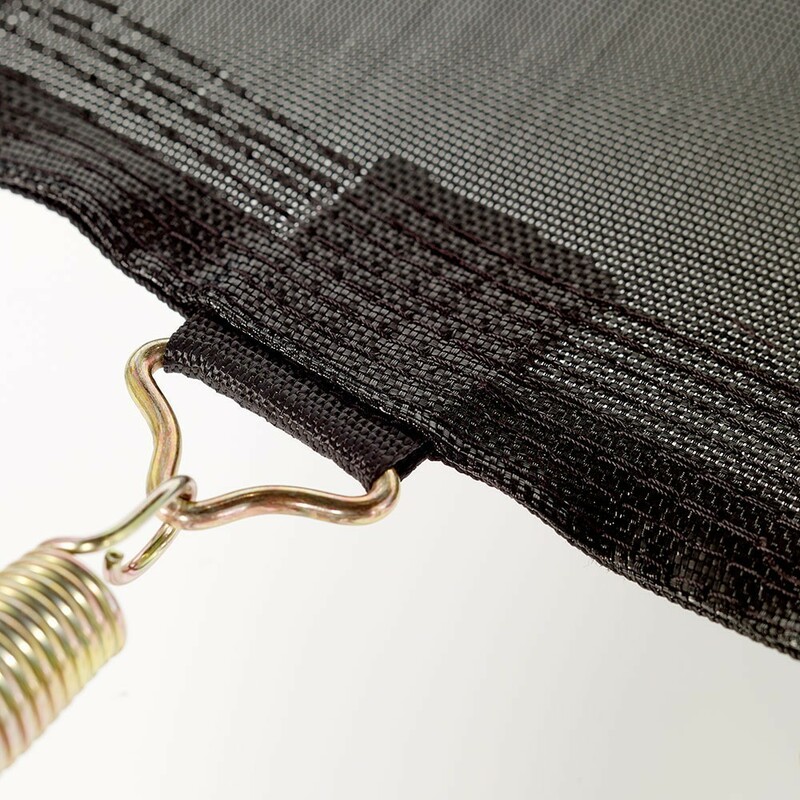 Is your trampoline's jumping mat? It is important that you change it for the safety of the jumpers. 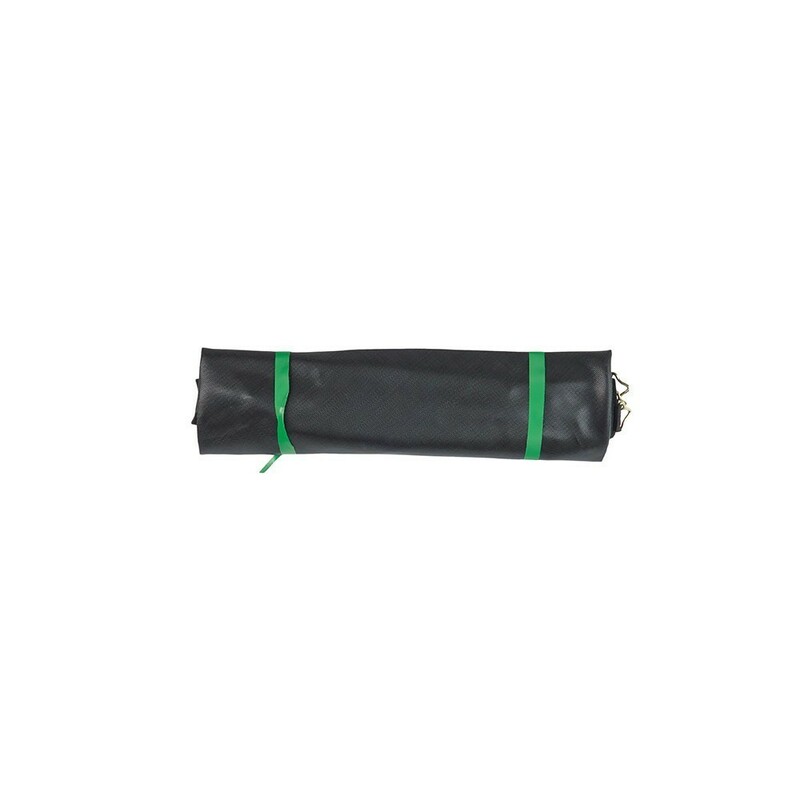 This jumping mat will allow you to replace your old mat without having to change the whole structure at a reasonable price. - Made in mesh, an ultra-resistant material that is reinforced by 8 rows of stitching for a maximum robustness against tears and various weather conditions. The quality of this fabric provides soft and dynamic jumps. - An anti-UV treatment ensures its longevity and will allow you to leave it outdoors all year. 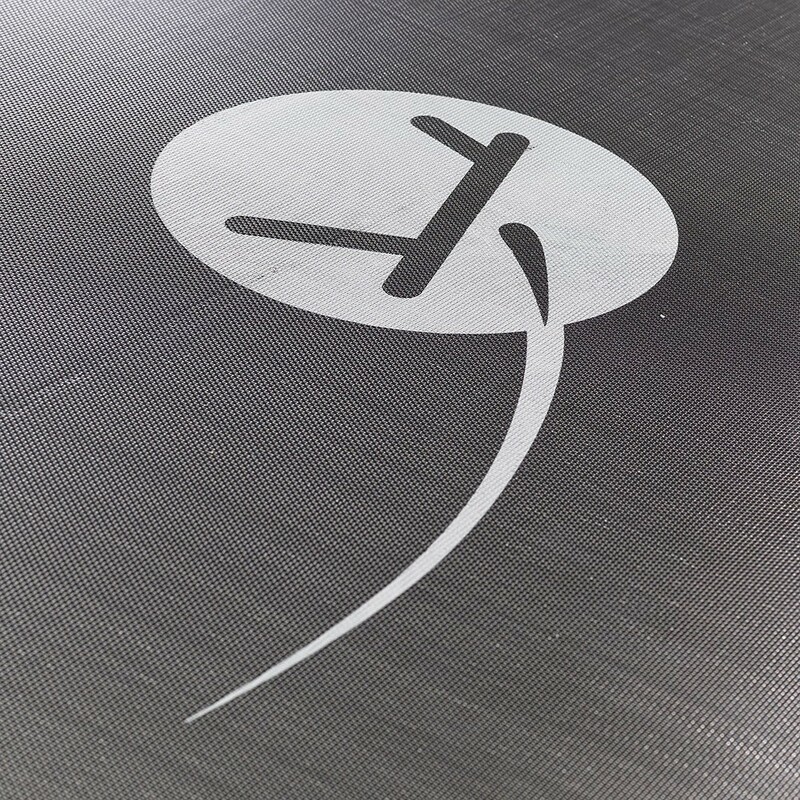 - Compatibility: this jumping mat will fit all round trampolines that have a 183cm (6ft.) diameter and 42 136mm-long springs. - Precisely measure the jumping mat's diameter (side to side) as well as the length a non-attached spring (hook to hook). - Springs are sold separately.